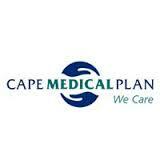 Cape medical scheme options have a mission to make their plans as easy as possible to follow. Cape Medical Plan (CMP) offers effective medical cover, from affordable hospital plans to a plan that provides comprehensive cover. To avoid confusion, the three Cape medical aid options offered by Cape Medical Plan are totally different to one another. HealthPact Premium is the cheapest of the Cape medical aid options available and it offers hospital cover only. There are no day-to-day benefits and there are no savings for the scheme. HealthPact Silver combines a medical savings account with hospital cover. There are also some day-to-day benefits in the plan. HealthPact Select is Cape Medical Plan’s elite option and it combines hospital cover with both medical savings and specified day-to-day benefits. This is the most straightforward and most affordable of the three Cape medical aid options. It is ideal for healthy, active people who generally have no need for day-to-day healthcare and medicines. Essentially this option provides unlimited hospital cover at any hospital you choose. However, Cape will pay for more than just your hospital bed. There is cover for specialist in-hospital procedures at 200 percent of the CMP tariff. There is also some cover available for specified out-of-hospital procedures. In addition there are maternity benefits, and unlimited pathology cover if your general practitioner refers you to Pathcare and Lancet Laboratories. The plan covers emergency ambulance costs. Of course if there are costs that are incurred on a day-to-day basis, members pay for these themselves, unlike the other two Cape medical aid options. Ideal for young families and individuals who are healthy, or at least relatively healthy, the Silver Plan falls between the other two Cape medical aid options from CMP. It is for those who do not have major health issues, but who want the peace of mind that they will have cover if there is any kind of medical emergency. Comprehensive yet affordable hospital cover, as well as limited day-to-day cover, is included in this plan. You get to choose the hospital you or your family members go to, just as you do with the other Cape medical aid options. Cover for specialist procedures at 100 percent of the CMP tariff. This is the best of the three medical aid plans in the Cape medical aid options. As such, it offers complete peace of mind that you and your family will have the best possible heath care and access to excellent medical facilities when needed. 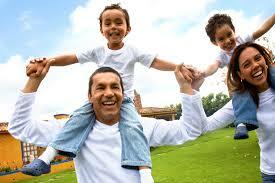 Hospital cover is unlimited and specialist procedures are covered at 200 percent, as they are with the Premium Plan. There are generous out-of-hospital and maternity benefits, and more than enough cover for all the chronic conditions on the Chronic Disease List. Diabetics have access to the invaluable Chronic Diabetes Endocrinology (CDE) Programme. As with the other two Cape medical aid options, there is unlimited pathology cover at Pathcare and Lancet Laboratories, provided you are referred by your GP. There is also an interest-bearing medical savings facility that you can use if you need to cover additional out-of-hospital medical costs.